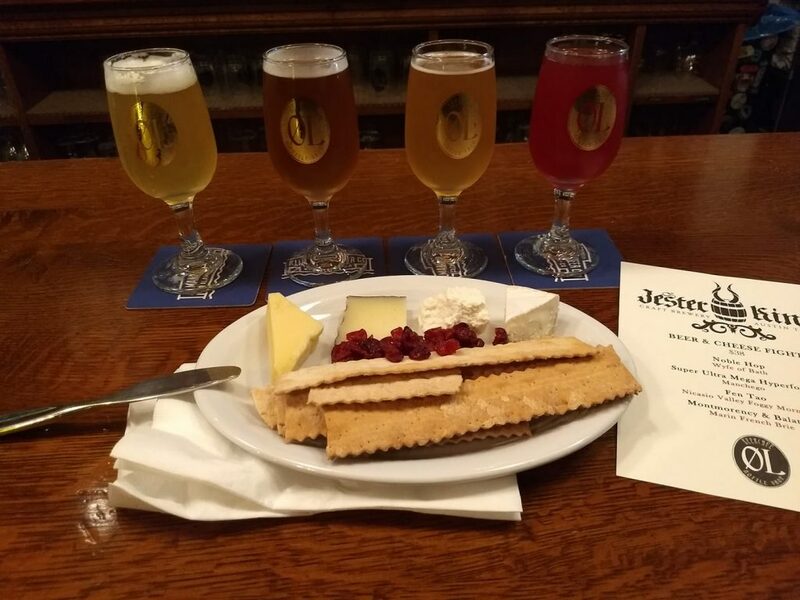 Jester King flight with cheese pairing at Øl Beer Cafe and Bottle Shop, in Walnut Creek (CA) on Sunday. With nearly 130 breweries represented, and almost 400 beers on offer, the Gala is an amazing experience. As very brewery brings their best beers, many of them brewed specially for Beer Week, the event is truly a showcase not only of the breadth of the Bay Area’s craft brewing community, but of the quality and skills that make it a leading force in craft brewing nationally. I was, of course, happy to find my friends Luis Castro, owner and brewer at Del Cielo Brewing Company, and Matt Sager, head brewer at Danville Brewing Company, pouring their beers side by side. Another friend, Craig Danielson, head brewer at Shadow Puppet Brewing Company, was also nearby. Luis was pouring one of the IPAs that he makes so well, along with Guava Dreams, a kettle sour, and Coffee State, a coffee-infused blonde stout. Matt was pouring three beers that I really like a lot: his GABF medal-winning Chux double IPA, Tres Diablos, a triple IPA brewed specifically for Beer Week, and his amazing Oatmeal Raisin Cookie. I swear that that one tastes just like the oatmeal raisin cookies my mom used to make! Craig, for his part, shared Livermorium, a really nice collaboration IPA produced at Shadow Puppet by brewers from all the breweries in Livermore. Although all the big-name players in Northern California craft brewing were, of course, represented, and I did sample some very tasty beers from them, after a while I opted for hitting the booths of smaller breweries and ones I was unfamiliar with. That strategy led to some pleasant highlights. One such was finding Blue Oak Brewing Co., from San Carlos, present and serving their excellent Cordilleras Kriek. A nice discovery was Ocean View Brew Works in Albany. They’re a fairly new brewery, and were having a great time at the Gala. They poured me a very tasty brut IPA, Mosaic Fizz. The brewery’s first anniversary will be celebrated with an event on Feb. 10th. Another pleasant discovery was Woodfour Brewing Company, from Sebastopol. Woodfour was pouring bottles of their Sour Farmhouse Ale. John Roberts, the brewery’s Bay Area sales manager, explained that the beer is produced via spontaneous fermentation in oak barrels that are not isolated from the external environment, and then blended in what he described as a “reverse solera” method. He also pointed out that they are producing other beers in open-topped wood foeders, and are the only brewery in the region that practices spontaneous open fermentation year-round. 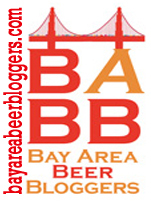 All in all, having attended, it amply clear why the Gala is one of the most anticipated beer events in the local beer calendar and why people come in from all over the country to attend it and SF Beer Week. 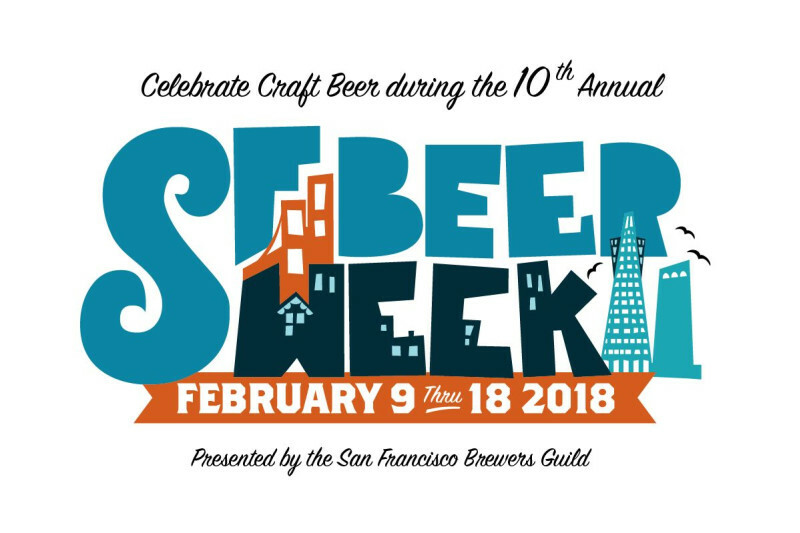 The San Francisco Brewers Guild has set the dates for the 11th edition of SF Beer Week: February 1st through 10th. 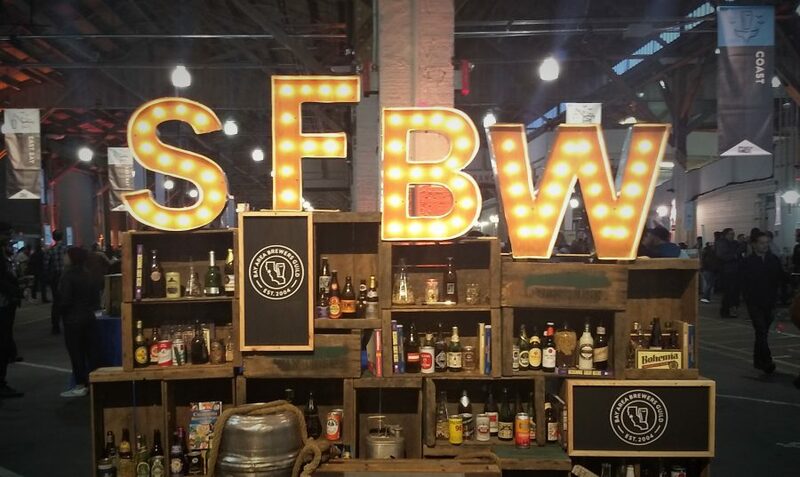 SF Beer Week, the West Coast’s premier beer fest, is fast approaching. With well over 100 breweries in the greater Bay Area, there will be no dearth of events to choose from, including many pre-fest events in the coming weeks, and additional unofficial ones during the fest week itself.